What are the Village opening hours? Are there any financial options available, if I do not wish to invest all my funds into my new home? 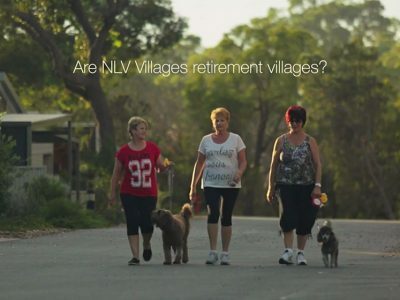 Are National Lifestyle Villages retirement villages? Do you provide care facilities or meals? I am still employed. Am I eligible to move into a National Lifestyle Village? What types of people live at a National Lifestyle Village? Will I fit in? What happens to my Residential Site Agreement and lease if there is a change in the village owner? What are the weekly fees? How will I know if Village life is right for me? What is the term of the lease under my Residential Site Agreement (RSA)? Village Sales Offices are open from 10am – 4pm Mondays through Saturdays and open on Sundays by appointment only. A National Lifestyle Village lifestyle community is a place where people above 45 years of age can move to, allowing them to downsize from their home in to something smaller and more ideal for their current living situation. Lifestyle communities such as National Lifestyle Village, are made up of an abundance of homes and villages and offer a wide range of in-house facilities to accommodate to all members of the community. 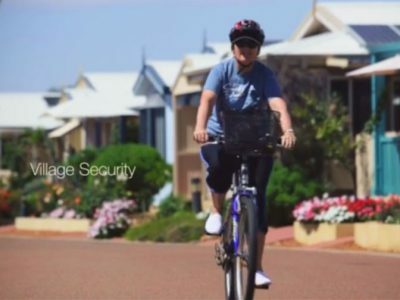 Lifestyle communities are a safe and secure place for each member. All of the homes found in our Lifestyle Villages are modern and contemporary and most importantly are low maintenance, giving residents more time to spend doing the things that they want to do. As everyone’s financial circumstances are different, please contact one of the team and they will be able to help you work out which option is best for you. No, they are not. People living in National Lifestyle Villages are on average around 65 years old, compared to the average age of 85 in traditional retirement Villages. Many Lifestylers have retired or semi-retired and they are in no way ready for retirement villages and what they have to offer. Other differing factors include costs, facilities, ownership – click here for more information. We don’t and it’s for this reason we are very different to a traditional retirement village. 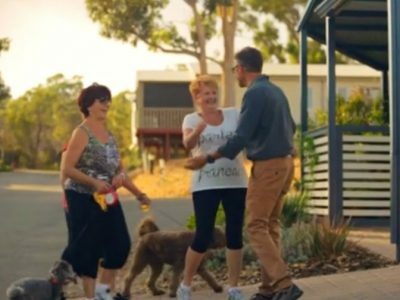 Our point of difference is that we offer secure, resort-style, land-lease community living for people who are not looking for a typical retirement village – just independent residential living with all the attributes above. The moniker ‘Lifestyler’ which we use for our residents says it all. We have a much younger entrance age and the older age groups among us are reasonably fit and active. 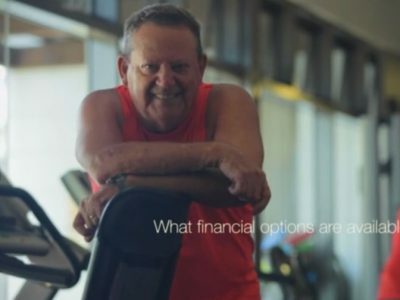 The way we see it is that we didn’t want to reinvent or duplicate the retirement village concept and that’s why we don’t offer the same types of services or purchase model. Instead, we provide a relaxed, park-like holiday atmosphere. Absolutely. Around 30 per cent of our Lifestylers still actively work. With more and more people choosing to work later in life and with our lower entry age of 45, this is not surprising. It is also what makes our Villages so unique and different to traditional retirement villages. You’ll find lots of like minded people around our Villages and the atmosphere can vary from mid-week to evenings, to weekends – depending on the number of people out and about. National Lifestyle Villages are places where people above 45 years of age can move to, allowing them to downsize from their home in to something smaller and more ideal for their current living situation. Lifestyle communities such as National Lifestyle Villages, are made up of an abundance of homes and villages and offer a wide range of in-house facilities to accommodate to all members of the community. Our communities are a safe and secure place for each member. All of the homes found in our Villages are modern and contemporary and most importantly are low maintenance, giving residents more time to spend doing the things that they want to do. Your Residential Site Agreement (RSA) is an individual contract binding both you and the Village owner for the term of your lease. There is a clause in the RSA which states that if the Village is sold to another operator, a condition precedent to the sale, is that the new Village owner is bound by the same terms and conditions of your RSA as the current owner. This means that there can be changes in ownership of the Village, but your RSA (lease) is protected and does not change. To find out our current weekly fee schedule please call us on 1300 45 55 65. It is also worth noting that in the event of an emergency, a 1300 emergency number is made available to all Lifestylers. The number is monitored by a call centre 24 hours a day, 7 days a week by trained staff. Obviously if you are experiencing a medical emergency, please call 000. Once you have signed a Purchase Agreement, you will be invited to spend an hour with our Village Manager. They will give you an insight into Village life, allow you to ask any questions you may have about the Village, policies and so on. This is an important meeting as it ensures that the Village is right for you and vice versa. If you have a change of heart after the meeting, your deposit can be fully refunded at this stage. Yes, and it is also a willable asset, which is generally not the case in traditional retirement villages. Well trained pets are always welcome at National Lifestyle Villages, subject to receiving approval from Village Administration. Approved pets may include dogs, birds and cats. The lease starts at 60 years and reduces each time the home that occupies the leased lot is sold. For example, if you sell your home after living in the village for 10 years the next owner will have a term of 50 years left to run. When a home is sold, the Residential Service Agreement (RSA) comes to an end and a new RSA is entered into by the incoming Lifestyler. This means that when you sell you are completely released from any obligations under the RSA. Currently most National Lifestyle Village leases end between 2062 and 2072. Our leases are unique in that we are obliged to keep the lease with you in place for 60 years, but you can exit the lease at any point you like. National Lifestyle Villages is primarily governed by the Residential Parks (Long Stay Tenants) Act 2006. Under this Act your RSA is further classified as a Fixed Term Long Stay Agreement.